Hyperintensity in the subcortical white matter on the diffusion-weighted magnetic resonance image has been described recently, in association with partial status epilepticus. Although this reduced subcortical diffusion is typically seen in patients with acute encephalopathy with biphasic seizures and late reduced diffusion (AESD), the exact pathophysiological mechanism is unclear. We report the case of a 3-month-old boy who underwent surgery for intractable epilepsy associated with cortical dysplasia in the left peri-Rolandic area, coincident with the appearance of reduced subcortical diffusion. Neurohistological findings revealed that the most prominent finding was axonal loss with marked astroglial and microglial reactions in the white matter. Neither degenerated neurons nor neurophagocytic microglial accumulation was evident in the cortex. 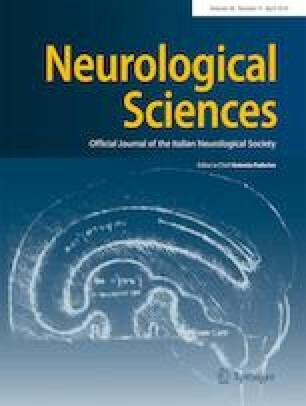 These findings confirm that white matter can be secondarily damaged in patients with partial status epilepticus, and possible pathomechanism of reduced subcortical diffusion is discussed. We thank Drs. Masaru Matsukura, Ryoko Nakamura, and Kenichi Maeda, Department of Pediatric Neurology, Fukuoka Children’s Hospital, for supporting the study. This research was supported in part by Fukuoka Children’s Hospital Research Fund.